← Tuesday, June 16, 2015 – BILL! Run for the Hills! The Floods Are Flashing! I cooked a vegan dinner last night. Which part of that sentence caught your attention – I cooked or vegan? Unless you lived in a hippie place like Austin, which I did, the term vegan in blasphemous in Texas. I mean, just ask Oprah W. I was born in a state whose economic foundations lie in beef, ranching and cattle. So what’s up with the vegan thing? That takes an intense commitment. But I thought in an attempt to intake more vegetables into my diet, I would try a vegan recipe and bloggers like to promote each other. 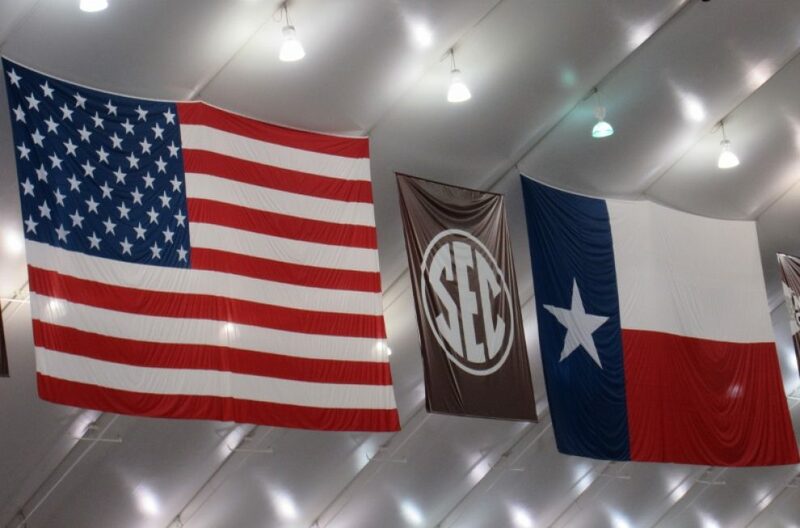 I asked The Elf for something a Texan might enjoy. 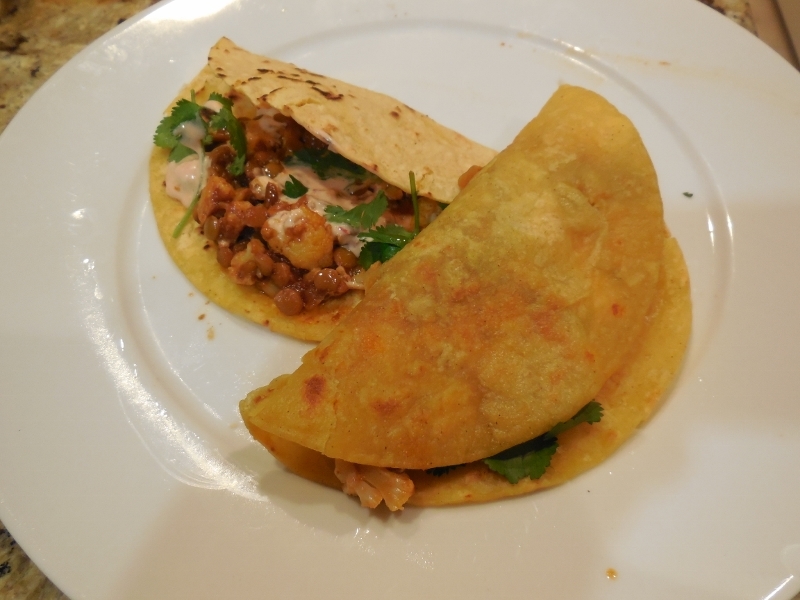 She graciously sent the recipe for roasted cauliflower and lentil tacos with a creamy chipotle sauce. 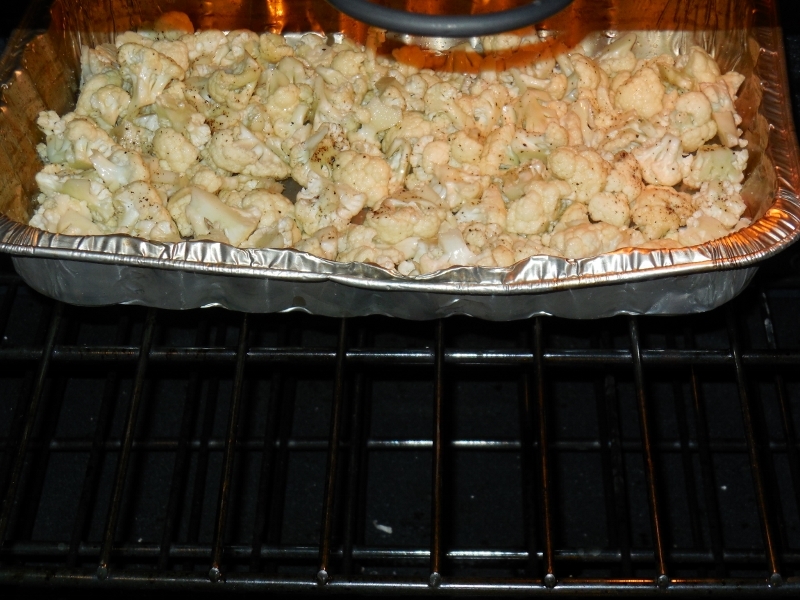 Cauliflower florets roasting in olive oil. 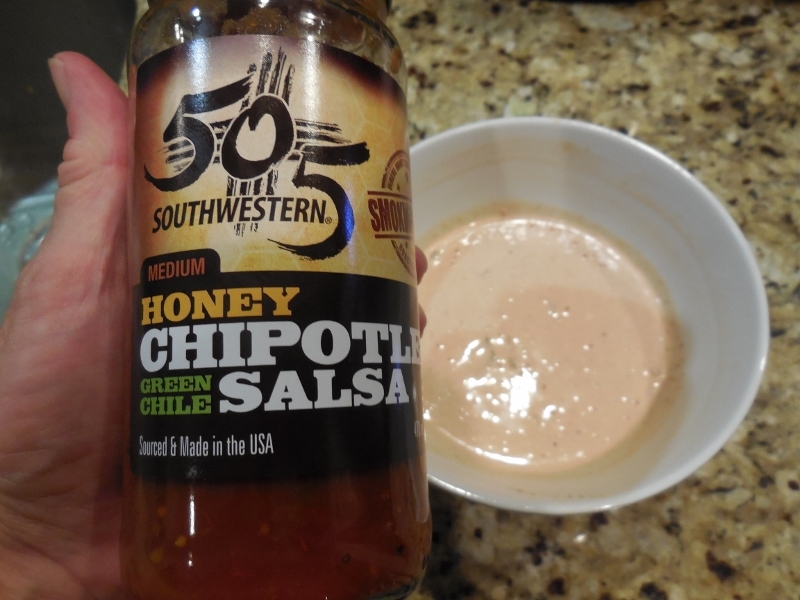 I used a chipotle salsa to make the sauce. With the mayo it probably took away from pure vegan, but only slightly, I hope. 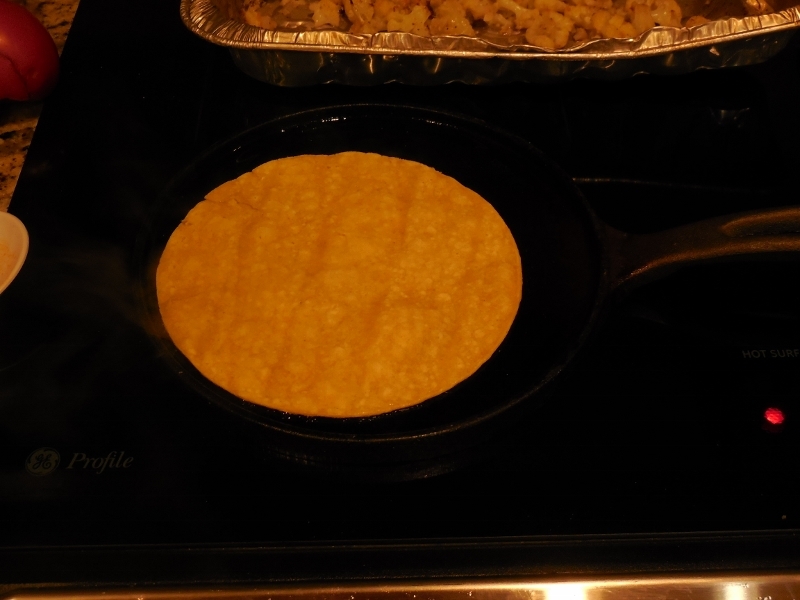 Corn tortillas on a comal – a flat cast iron griddle type used for warming tortillas. Bottom Line – As skeptical as I was, they were delicious. 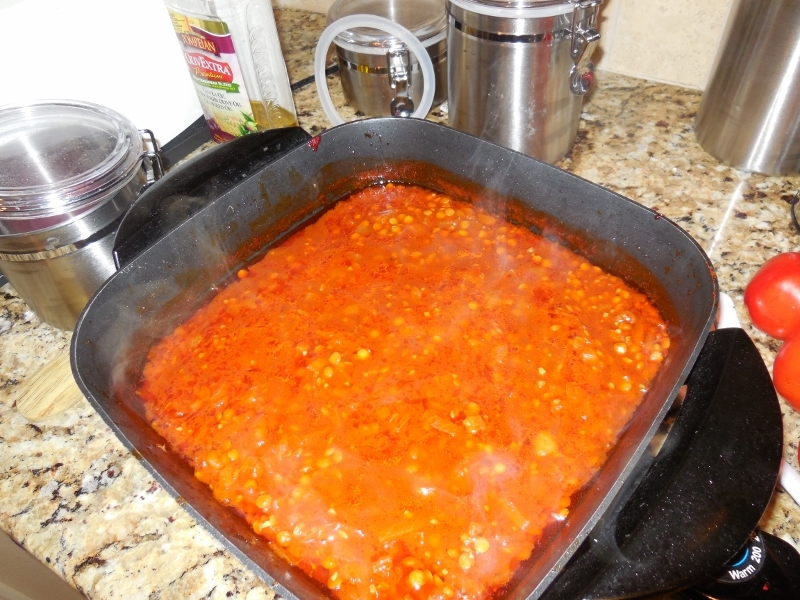 Easy to prepare; the total time of 50 minutes from prep to cook was right on the money. The only thing I would change is the addition of more chili powder and peppers – only because we do like our food hot and spicy in Texas. So click on over to The Elf in the Kitchen http://the-elf-in-the-kitchen.blogspot.com/ and give the animals a day off. You can always have that hamburger tomorrow night. Thank you Elf. I look forward to more healthy recipes. This entry was posted in Uncategorized and tagged The Elf in the Kitchen, vegan, vegan recipes. Bookmark the permalink. All of it got my attention. I am IMPRESSED! It looks like it tastes yummy. Loved the green touch that you sprinkled on top! Copied the recipe. THANK YOU THANK YOU THANK YOU!! Not only that, but The Elf is surely happy you enjoyed the dish!! Got another one coming your way soon. Thanks so much again! Your talents never fail to amaze me. This looks yummy.